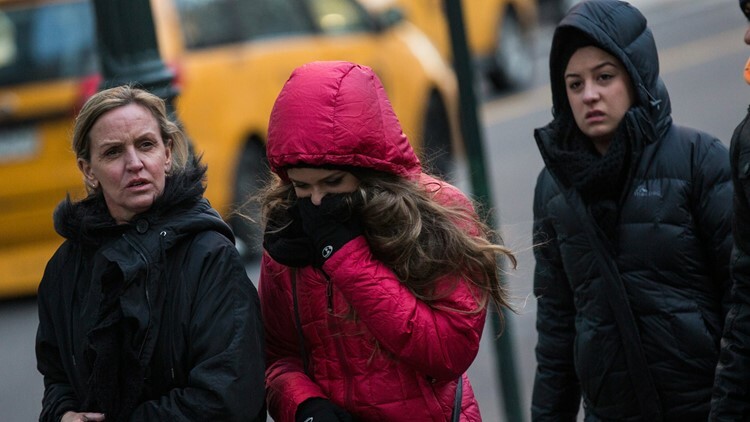 Women bundle up against the cold on the afternoon of January 8, 2014 in New York City. A sudden blast of warm air unleashed the dreaded polar vortex from its Arctic cage. Now, the Midwest is about to feel the effects of its icy grip. WASHINGTON — Get used to it. The polar vortex has been wandering more often in recent years. This time, its Arctic chill is here for an extended visit. Judah Cohen is a winter storm expert for Atmospheric Environmental Research. He says it all started with misplaced Moroccan heat. Meteorologists watched last month when the normally super chilly air temperatures 20 miles above the North Pole rapidly rose thanks to that southern warm air. Cohen says that split the polar vortex into pieces. Those pieces of cold air started to wander, bringing the chill. He says the unusual cold could stick around for weeks.